A vintage Om necklace that contains plenty of colour and design. 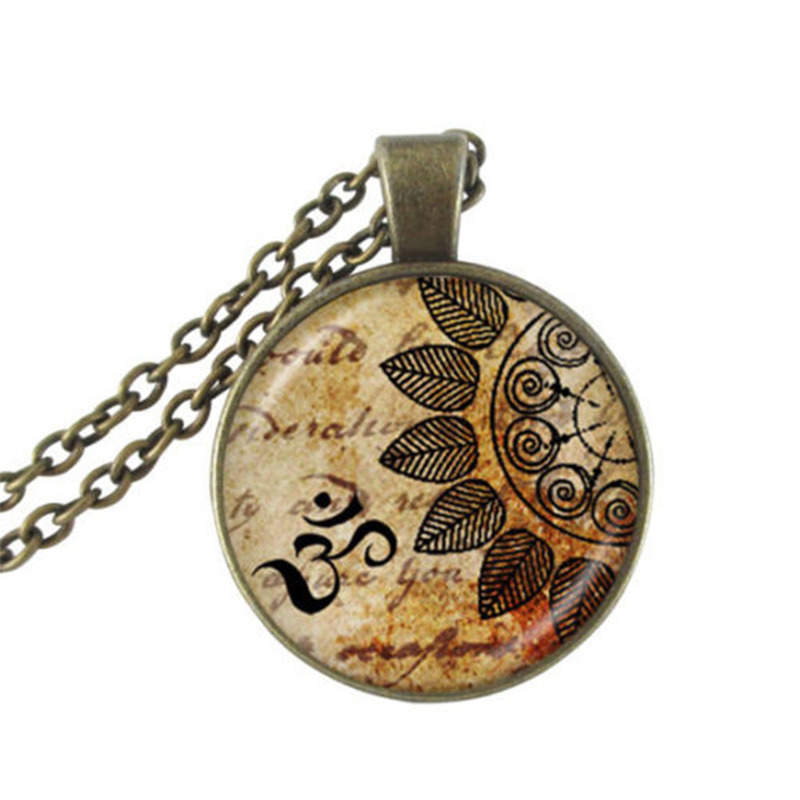 A stunning Vintage Om necklace which is very stylish. This strong, long, brown chain comes with a beautiful circle shaped pendant that is full of colour and contains the Om symbol. The Om is a sacred sound and spiritual icon in Indian religions.